Over 6000 eager runners and walkers took to the streets of Durban on Sunday, 21 July 2013 to take part in the much loved 5km and 10km Totalsports Ladies Race. 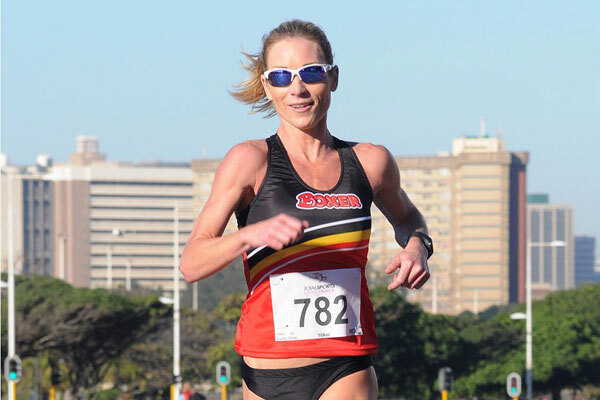 Boxer athlete Jenna Challenor of Durban North was the lady to beat on the day completing the 10km route in an impressive time of 34minutes59seconds. 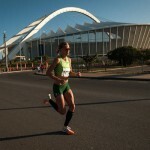 According to Challenor the Totalsports Ladies Race featured the best run route that Durban has had to date. “Although this was the first time that I’ve taken part in the Totalsports Ladies Race, I’ve run a lot of 10km and 15km routes in Durban. Today’s route was definitely the best. 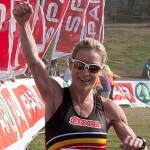 I would have loved to have taken part in the Totalsports Lades Race in 2012, but I was pregnant at the time. Today my plan was just to go out and run. I definitely didn’t expect to win. The competition was fair with a lot of foreign runners taking part. The conditions were perfect and the race was fantastic. I’ll definitely be back next year,” says Challenor. Poppy Mlambo (Boxer) came in second, while Thabisa Sirayi (Lions) finished third. Further down the field there were a number of impressive performances with 71 year old Gill Tregenna finishing in position 124 in 55minutes07seconds, leaving many youngsters in her wake. Previous Comrades gold medallist, Grace De Oliveira won the 50-59 age group in 42minutes32seconds, while eighth placed Shani Silver, also of the Boxer Club, was the fastest in the 40-49 age group finishing in 39minutes40seconds. Second placed junior Caylee Ellero was ninth overall and the last runner to break the 40 minute barrier. 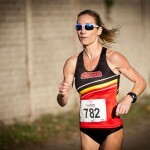 Lee-Anne Blake took gold in the 5km Totalsports Ladies Race. Although held in celebration of the upcoming National Women’s Day, the Totalsports Ladies Race encouraged husbands, friends and family to join in on the fun and show support on route. Event Entertainment: Runners and walkers were welcomed home by South Africa neo-soul singer, songwriter, presenter and actor, Gift Gwe. The Totalsports Ladies Race heads to Johannesburg and Stellenbosch on Friday, 09 August 2013. Although fax and in-store entries have already closed, online entries will only close on Sunday, 28 July 2013.